The Island Garden City of Samal has a lot of things to offer. Given all the resorts they have, the beaches, the white sand shores, the accommodations amenities and even the food the people there serves. Among these resorts are the famous ones like Blue Jazz, Maxima, Camp Holiday, Paradise, Kaputian and a lot more to mention. All of them have their own unique way of welcoming the guests, tourists and adventurers. But there is one resort that I bet is not that familiar to all and it seems as though not that popular like the others. 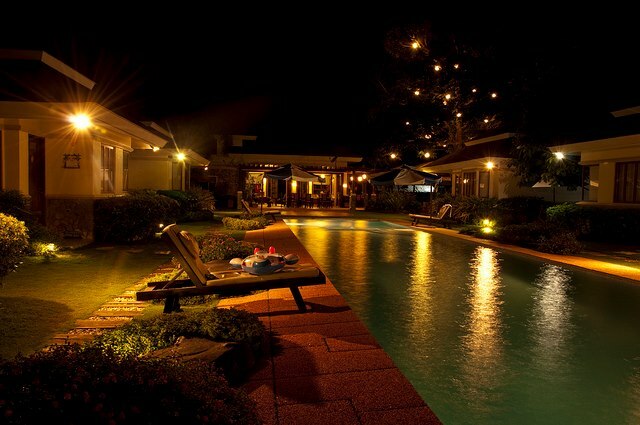 The resort’s name which is “bali-bali” came from the native dialect of Pangasinan which means “beautiful”. Indeed, as how it is called.. the resort itself is so beautiful and you can get caught and be captivated with the scenery it provides in your eyes. 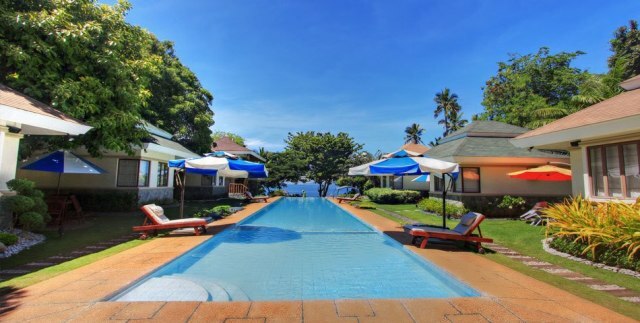 The resort is a one-hectare place and a semi-private one. It has two main area levels, the first level is the fronting Pavillion area that serves as the main hall and the Rectangular Pool that adds more beauty with it. The second level is the beach area plastered with fine white sand shore and some trees for cooling off in this summer heat. The resort has six Villas inspired with the Asian designs that suits up your stay. The calmness of its surrounding makes you feel more relax. They boast their features that promotes tranquility, serenity and privacy. Course 1: Bring your own car or rent one and take the Davao-Samal Ferry Boat at Sasa. Once on the island, turn right and take a 20-minute drive heading south along Samal’s Coastal Road. Course 3: Arrange with our booking office for your land/barge transfers. From our Davao office, we will give you our private vehicle service to take you to the resort and back. Fees will apply. Course 4: You can also ride the Samal Island Buses at Magsaysay Park area and as the bus stops at the warehouse, you can ride a motorcycle going to Bali-Bali resort. With pride the resort offers a different kind of experience that’s worth of your visit and time because we all deserve a vacation at its best. Mobile Number: 0922-838-7214; 0922-831-3378; 0922-891-2741 and 0917-704-0884. NOTE: Photos from Random search on Google. I'm a novelist enthusiast, painter, random sketch artist, writer, reader, frustrated singer, dancer, manga reader, anime fan and a person who loves to explore things beyond curiosity and imagination.